JUST ANNOUNCED! 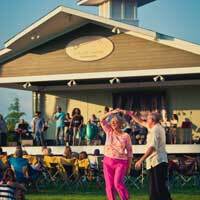 The Joshua M. Freeman Foundation has just released the 2013 Freeman Stage at Bayside season, and it’s our biggest yet. As sponsors, we wanted you to be some of the first to hear the exciting news! An eclectic mix of 53 shows – live music, dance, theatre, kids shows, and special concert events – will take the Stage between Memorial Day and Labor Day. As we offered in 2012, 65% of these shows will be free for all! Crowd favorites like Mid-Atlantic Symphony Orchestra, Tommy Edward, and First State Ballet will be back. New shows like Classic Albums Live, Spanish Harlem Orchestra, and Nora Jane Struthers will also entertain our audiences. We will also host 2 “Locals Under the Lights” nights which will give local performing artists a chance to perform for a crowd at The Freeman Stage! So who are the big special concert events? Lyle Lovett & His Acoustic Group will be here on July 10th, followed by Sheryl Crow on July 14th. In August, we will rock the house with Darius Rucker on August 8th, Michael McDonald on August 10th, and Pat Benatar & Neil Giraldo on August 14th. Tickets for all shows will go on sale to the general public at 10am on Monday, April 1st. For sponsors at the Patron level or above, you will have early access starting March 25th! We will be contacting you soon withmore details. A full 2013 calendar of events will be available later today at www.freemanstage.org Start planning your summer! Thank you for your support!